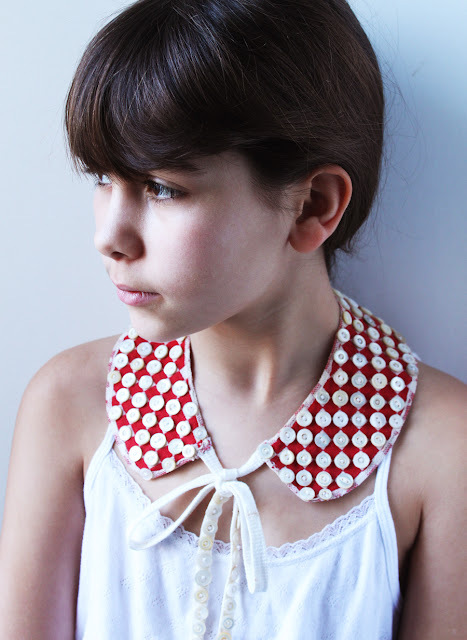 peter pan collars are so gamine: they remind me of audrey hepburn, prim and proper uniforms, french couture, vintage sewing notions (a favorite ebay-search of mine).... i could go on. this linen red-white checkerboard collar was a flea market find. i sewed on the mother of pearl buttons for extra weight and attached the shoelaces, also weighted down with buttons, for closure.